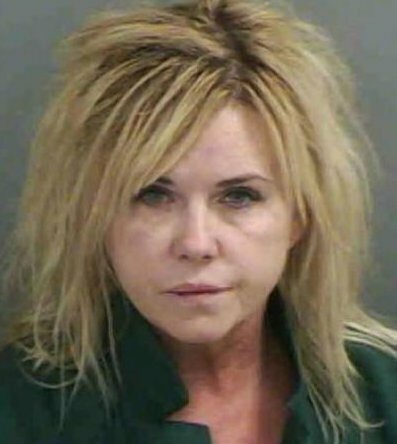 A Florida grandma in a bikini was arrested for drunk driving after she crashed into a parked car, police said. Naples woman Patricia Ebel, 49, totaled her black BMW when she hit a Mustang parked at a red light, police told WINK on Friday. Her 10-year-old grandson was in the car with her, but was unharmed. The bikini-clad woman and the boy had just finished swimming at the pool. Deputies said Ebel failed multiple field sobriety tests and declined to take a breath test, according to the New York Daily News. Cops said she smelled strongly of alcohol. The passenger in the Mustang was taken to the hospital, but did not have life-threatening injuries. Ebel was charged with a DUI with a minor in the car and has been released on bail.